A Tufted Titmouse perches on a pole near a birdfeeding station, Oct. 2014. 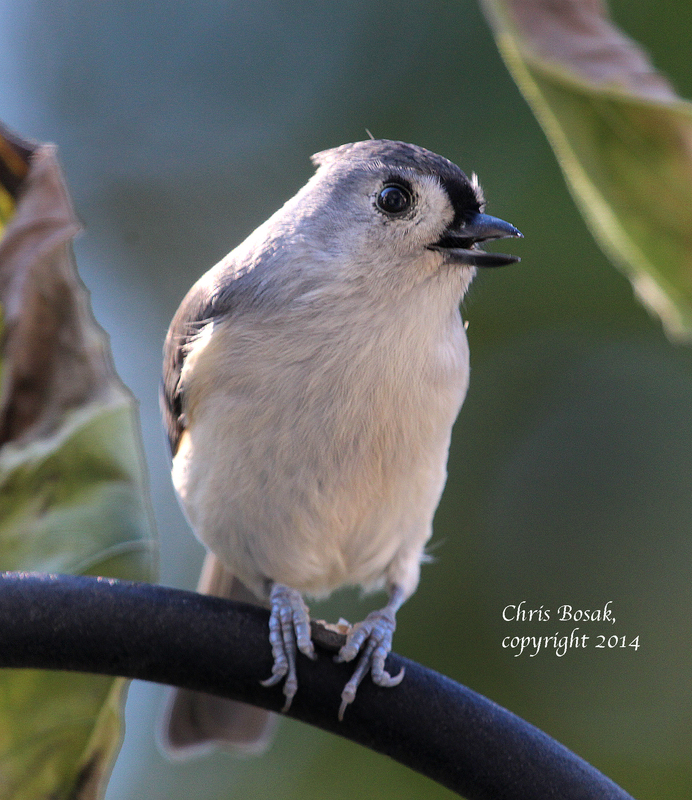 Last week I posted a photo of Tufted Titmouse that I saw outside my window at my birdfeeding station. It kicked off a short series of photos I posted of common backyard feeder birds. 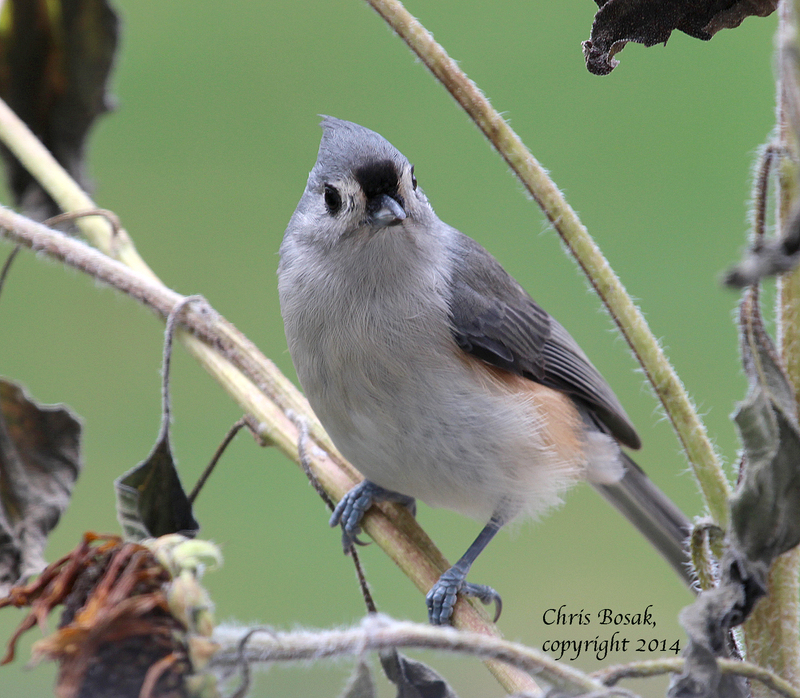 But, of course, I had more than just one photo of Tufted Titmice. So here are a few more photos of this small and lovable blue-gray bird. 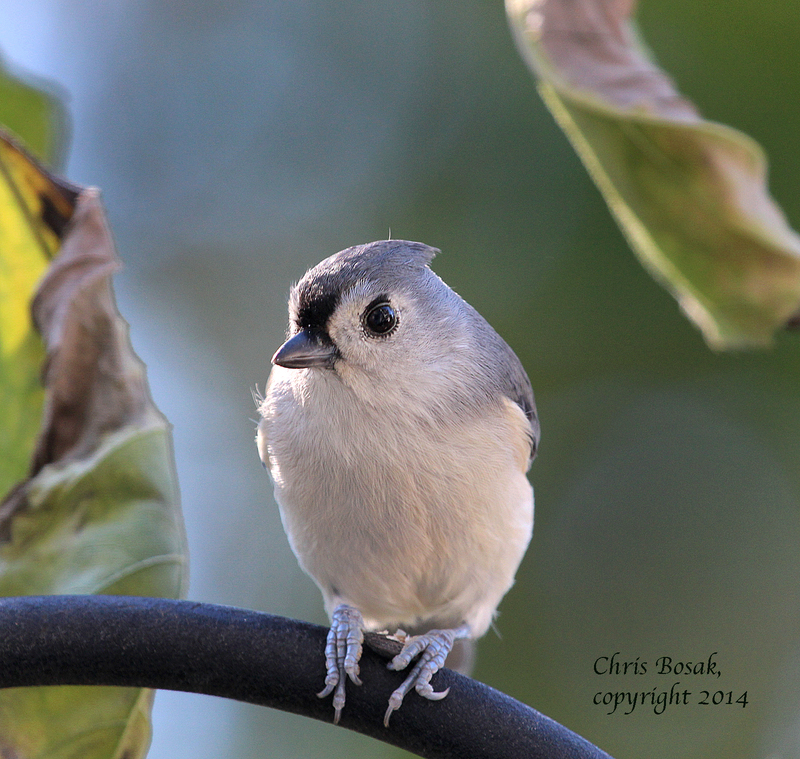 So far this fall Tufted Titmice have been the most numerous and reliable birds at my feeder. I can’t complain about that. A Tufted Titmouse perches on a sunflower stalk near a birdfeeding station, Oct. 2014. 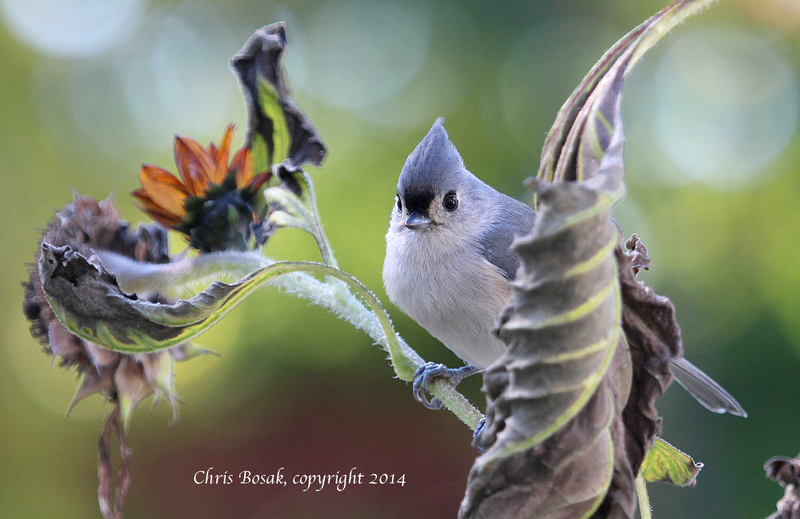 This entry was posted in backyard birding, Random photos and tagged chris bosak nature photographer, Tufted Titmouse, Tufted Titmouse on sunflower plant by Chris Bosak. Bookmark the permalink. Thanks Jim. Great to hear from you. Great story. Thanks for writing and always great to hear from you Mary Ann.